Now’s that’s just asking for trouble. 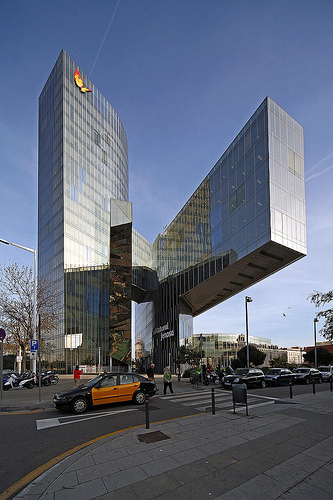 Buildings with cantilevers have made prior appearances on this blog. Put “cantilever” in the search tool. photo by Vesper Hsieh via Creative Commons licensing.